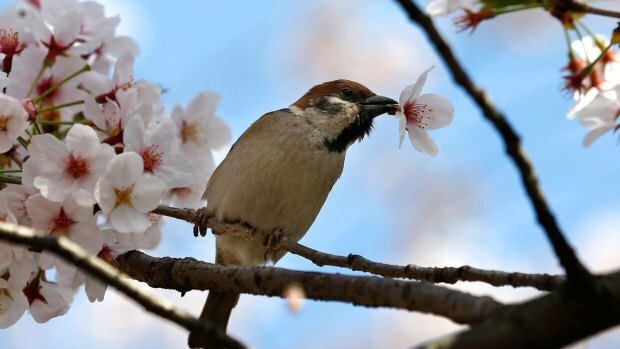 The National Park Service said the peak blooms for the cherry blossoms around the Tidal Basin and East Potomac Park will start on March 23-24. 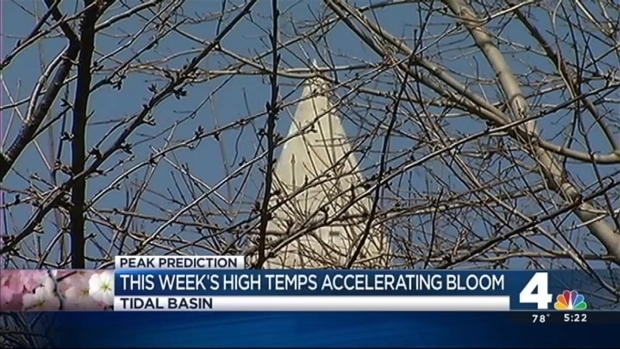 NPS said the current progression of the blooms and a cooler weather forecast over the next seven days has allowed them to narrow the target to two days. Last week, they announced the peak bloom would occur between March 18 and 23. Two weeks ago, the NPS had announced peak bloom dates would be March 31 to April 3. Peak bloom is considered to occur when 70 percent of the Yoshino cherry trees along the Tidal Basin are in bloom. 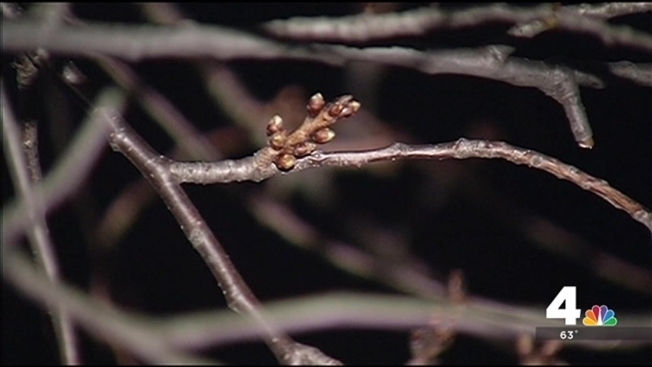 The NPS said that in past years, unusually warm or cold temperatures have resulted in peak bloom as early as March 15 and as late as April 18. The average date for blooming is April 4. The National Park Service now expects the cherry blossoms to be at peak bloom March 18-23, almost two weeks earlier than originally predicted, due to the warm weather. Shomari Stone reports. In response to the earlier peak bloom, the Tidal Basin Welcome Area, located near the paddle boats at Maine Avenue SW and Raoul Wallenberg Place SW, is now scheduled to be open from March 18 to April 3, moved up from April 2-17. Organizers have already announced the dates for this year's National Cherry Blossom Festival. It's scheduled to run for four weeks from March 20 to April 17. The festival is a big boost for city and regional tourism. Saturday, March 26: The official opening ceremony features performances at the Warner Theatre (513 13th St. NW). Tickets are free but are required to attend; see the festival website. Saturday, April 2: Oh, go fly a kite! The Blossom Kite Festival, a family-favorite tradition, has competitions and demonstrations. You can bring your own kite, or kids can make their own! Saturday, April 9: The Southwest Waterfront Fireworks Festival will blast off above the water after a full day of enjoying food vendors, an artists' marketplace and more. Saturday, April 16: The National Cherry Blossom Festival Parade boasts a 10-block-long lineup of balloons, bands and all things pink. Grandstand tickets are on sale now for $20, but standing room along the route is free. Saturday, April 16: After the parade, six blocks near Capitol Hill turn into a celebration of Japanese culture with food, performances and more during the Sakura Matsuri Festival. Tickets are $10 and free for children under 12. Saturday, April 16-Sunday April 17: The Cherry Blast at the Carnegie Library (801 K St. NW) is a celebration of Japanese pop culture, including anime, cosplay, fashion and gaming, plus a Japanese-inspired dance party. You can also indulge in Tokyo street food, sake tastings and sushi workshops. The event runs from 6 p.m. to 2 a.m.
To celebrate the National Park Service's 100th birthday, festival officials say they will also hide a special cherry blossom themed gnome in parks this spring. Those who find "Petal the Gnome" will win a festival prize package. This year marks the 104th anniversary of the gift of the cherry blossom trees from Japan as a symbol of friendship with the United States.